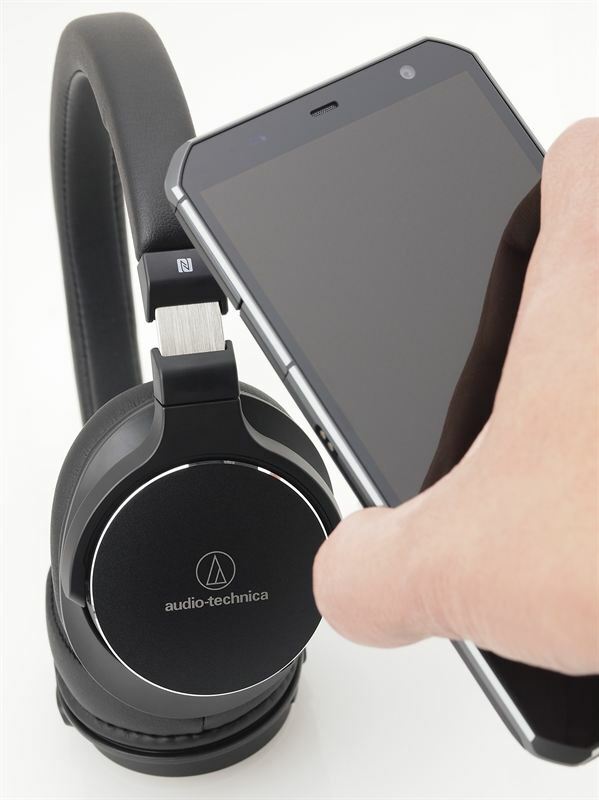 Audio-Technica’s new on-ear portable headphone duo, the ATH-SR5 and ATH-SR5BT, allow all music fans to experience stunning high resolution audio reproduction on the move. 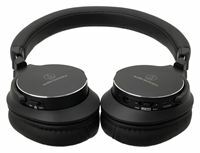 Taking its cue from the pro-grade, award-winning ATH-MSR7 headphones, these two affordable models deliver superior sound quality, while the ATH-SR5BT offering convenient Bluetooth® wireless capabilities. Arriving in a stylish classic black or eye-catching white finish, the ATH-SR5 boasts audio technology taken from its premium bigger brother, the ATH-MSR7, and all at a sub £100 price point. Centre stage are the dynamically-tuned True Motion 45mm drivers, delivering rich, detailed and distortion free playback of next generation high resolution audio formats while Dual Acoustic Resistors extend the high and low-end frequency response for a more natural sound. Elsewhere, a top-mounted PCB board allows for more fluent movement of the diaphragm for a more accurate audio performance. Comfortable ergonomics and effective sound isolation is essential for the finest on-the-fly listening experience and the ATH-SR5’s soft memory foam earpads provide that universal snug but secure on-ear fit and immersive environment. In addition an easily adjustable headband and lightweight, flexible swivel design enhances portability and comfort during long listening sessions on the move. For those listening via a smartphone, the 1.2 metre detachable cable features a mic-remote control for conveniently taking calls without having to reach in your pocket for your device. It also comes with a carrying pouch to keep safe when travelling. 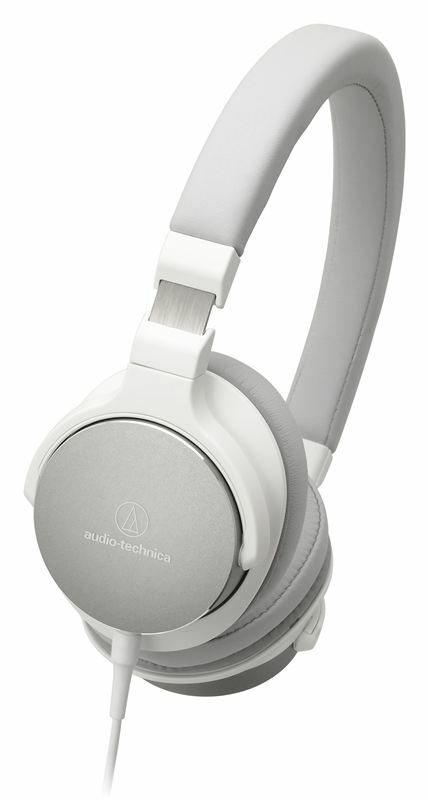 Harnessing the audio technology and design features of its wired sibling, the ATH-SR5BT offers added wireless capabilities. 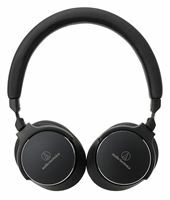 Using the latest Bluetooth® 4.1 with aptX technology, music fans can connect a compatible device and enjoy top-quality audio playback without the tangle of wires. Hooking up your device couldn't be easier with Near Field Communication (NFC) pairing: just a simple tap of your compatible device against the ’N’ logo on the headband while a further touch will disconnect them. Integrated into the ear cup, these Bluetooth headphones also feature accessible controls with Play/Pause, Volume and Skip functions all in easy reach when on the move. Designed for marathon listening sessions, the ATH-SR5BT delivers up to 38 hours playback - unprecedented for an on-ear model at this level - from a single five hour charge via USB. Attach a 1.2 metre in-line cable for the wired option and to experience high resolution reproduction. Reviews samples are available from January 2016.